What makes the perfect Christmas cocktail? Let’s face it, you’re probably getting too old for hot chocolate. 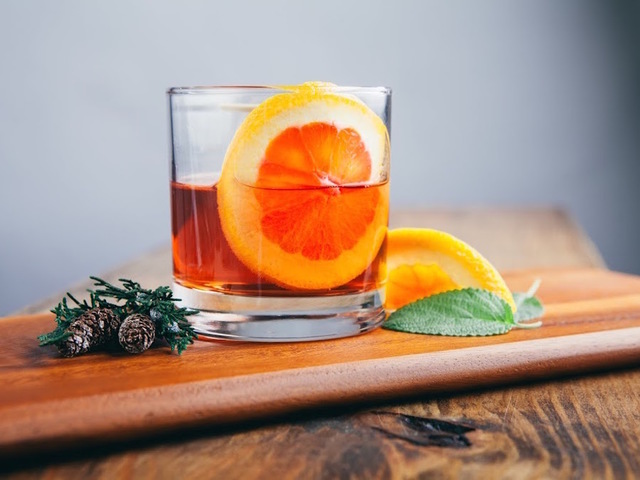 If you’re looking for a holiday drink that will keep you warm this winter, why not try something a little more spirited? If you’re 21 or older, of course. Joe Bruno — a cocktail expert and director of the American Bartenders School of New York — says the perfect Christmas cocktail should bring back memories, while also potentially blurring them. “The (drinks) you remember are ones your parents or grandparents made during the holidays,” Bruno said. “Cocktails should be able to hold fast to nostalgia, in order to stand the test of time.” But what makes a great Christmas cocktail? Bruno suggests peppermint as a prime ingredient. “I just equate it with wintertime,” he said. “I guess it could be a metaphor for walking into a warm house after being in the cold,” Bruno said of mint-infused drinks. One such cocktail he teaches his students includes peppermint schnapps, vodka and simple syrup (sugar boiled in water). 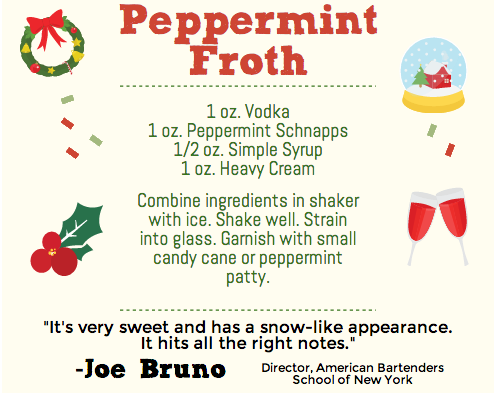 A popular garnish for mint-infused drinks is a candy cane or peppermint stick.